Updated GOCDB chapter with David M. contribution. Added in the introduction the schema of dependencies. Timeline? At least for the grouping/scoping scenario . This use case includes more than one op.tool. NGI_PL needs central grouped/scoped GOCDB to include local non-EGI sites. Both the sites need to be shown in the central Dashboard: it should point to the EGI-local view. 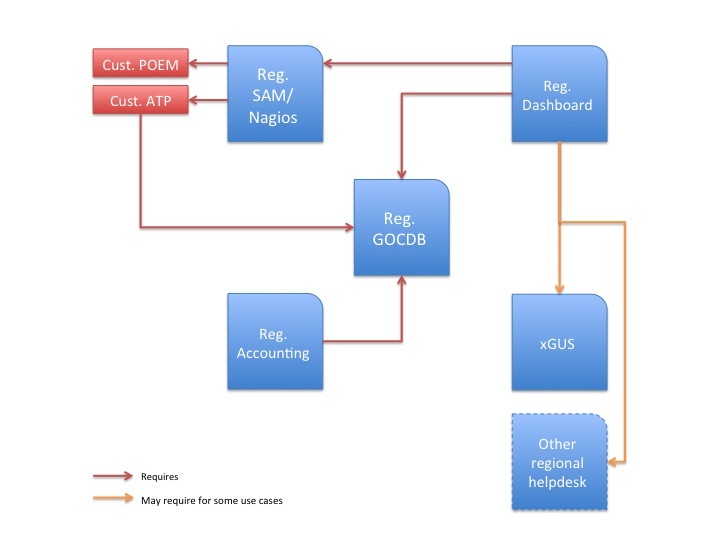 Accounting portal does not need big additional effort for develope a regional instance. It is basically a central instances that points to a regional accounting repository (Planned to be delivered by the end of 2011). This page was last modified on 19 June 2015, at 11:56.